Some owners of the Google Nexus 7 tablet, including some whom are members of the Xda Developer's Forum, have noticed that the screen on the ASUS built device is slowly moving above the plastic bezel over time. In other words, the screen is popping up from the plastic casing. At first, the screen seems to creak when it is pressed, but eventually it starts to show some separation issues. 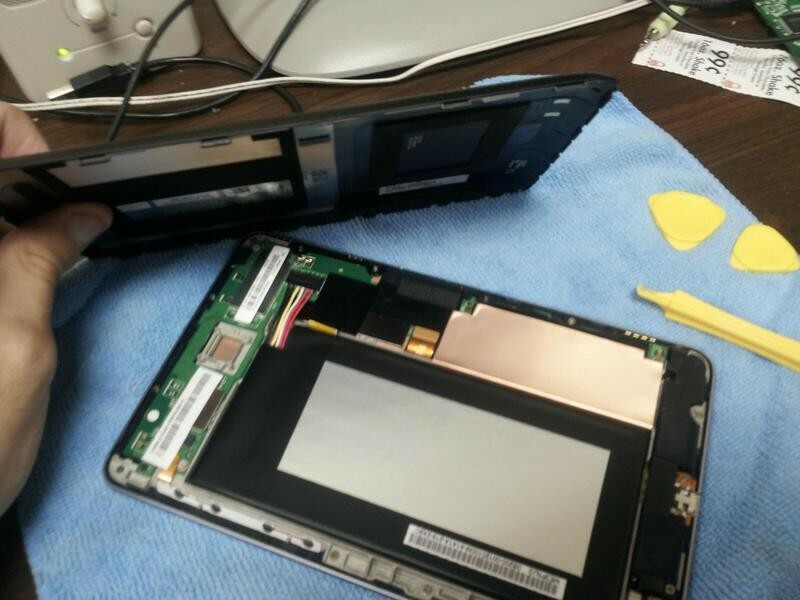 One entrerprising Xda member, jam10238, removed the tablet's back cover and tightened the screws that hold the screen in place. A few Google Nexus 7 owners decided to copy this maneuver and found upon removing the back cover of their unit, that the screws were quite a few turns away from being sufficiently tightened. While getting a screwdriver and turning the screws (no, we don't recommend the Oppo Finder for this operation) helped some, it didn't solve the problem in every case where there was screen separation. 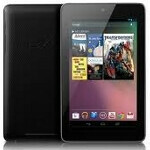 Does your recently arrived Google Nexus 7 have to go back to the factory? 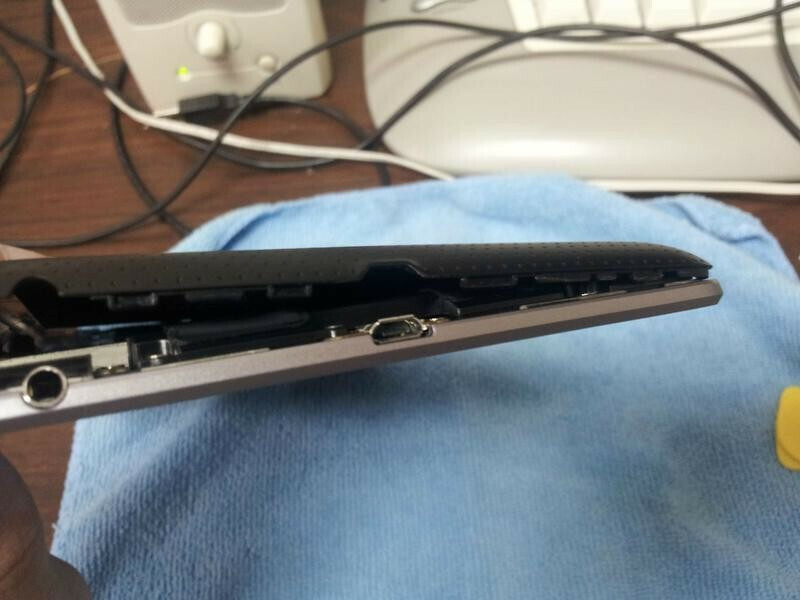 Instead of doing something to the Google Nexus 7 that you probably should not do, your best bet is to call the retailer or email the on-line app store that you bought it from, and request a replacement unit. Now that the tablet has started shipping in number, you probably won't have to wait terribly long for a replacement. And we would try to avoid saying anything about having a screw loose because someone might take it the wrong way. 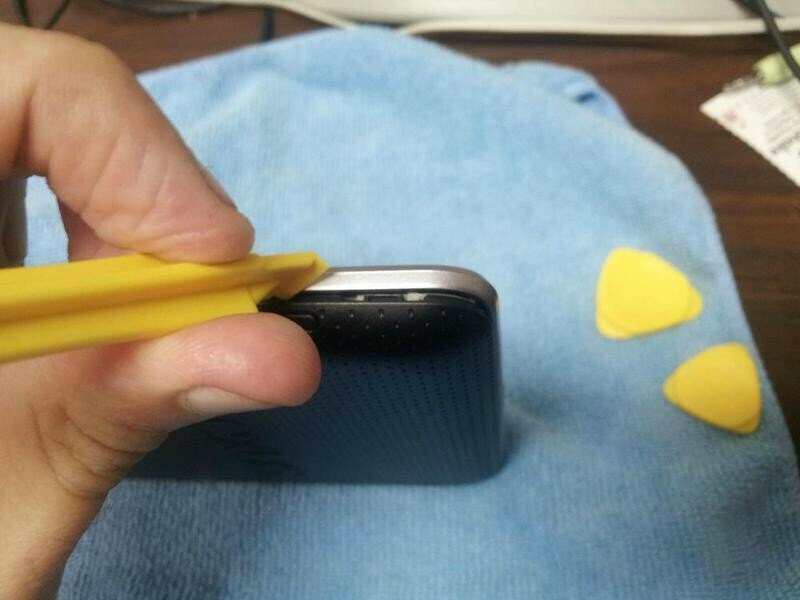 If you are the type that must fix it yourself before surrendering to a technician, you can find directions on how to remove the back cover and tighten the screws at the sourcelink. umm.. your probably going to wait. The Play store was sending emails to people that ordered in some areas that the shipping time for the 16 gig version was going to be a few more weeks. It was all over G+ yesterday. I have sent my TF101 (Asus Tranformer OG) in now 3 times in the last month, literally once a week, first time they replaced the wrong part, second time they replaced the correct part but damaged the camera, Im sending it in a 3rt time to fix the camera... Needless to say, I havent had an issue with doing the RMA and getting repair done, sure they might do a "quick fix" (IE I said the bezel was loose, so they just replaced the bezel instead of what it mounted to, easy to figure out if you spend more then 10sec on it), but not denials for my repair so far, and while Im annoyed as all hell at being without my tablet for coming up on a month now, they paid for shipping for the last 2 times and havent given me s**t when I sent it in... This is the LEAST problems I have had with an RMA/Repair center... Asus pays the facility well and while they may not take the extra time to examine the problem, they wont balk at taking it back for a second or third time to really fix your issue :D TL;DR: Call ASUS, get an RMA, get it fixed under warranty... My experiance has been GREAT considering so far with another tablet device from asus! is a 199.00 tablet.. right? You've been out in force today. still behind to what your troops are doing right? My troops? What in blazes are you talking about? Lolwut? I'm no leader. It's flattering that you try to assign responsibility for others' actions to me though. Just because you Apple fans need to have some sort of "leader" to make you all feel special like you are part of a club does not mean the same for everyone. The ones that will ship next week or 2 are intact? Good competitor to Kindle fire at least Android! first adopter syndrome. it happens to ALL products. Before the trolls come in and start spouting their crap, remember all the initial problems each iphone has had.. especially with their yellow screen blotches and antennas. 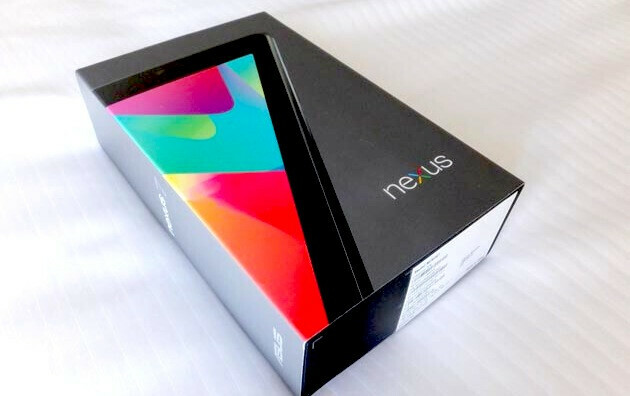 This ain't about apple, it's about the nexus 7. Do not deviate young Jedi, or suffers your fathers fate u will.